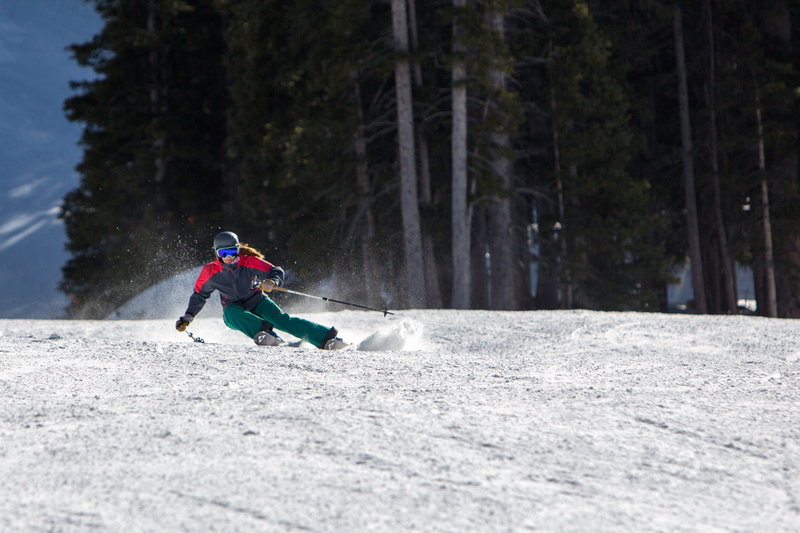 For the 15/16 season, Fischer has completely retooled their men’s and women’s freeride line. 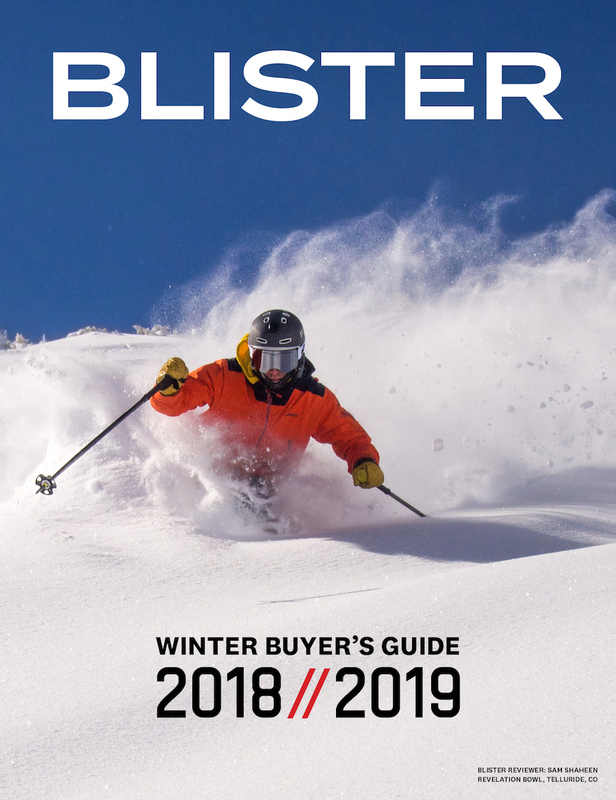 In addition to their new touring-specific skis, Fischer has lightened up their Ranger series to make them better suited for use inbounds or out. The Ranger W 98 is the widest offering in Fischer’s new women’s freeride line, and is made with a carbon tip and their light Air Tec Ti core, so that the ski is light, but still offers sufficient stability. My first impression picking up the Ranger W 98 was that the ski felt extremely light; I didn’t doubt that it would tour well, but I was curious as to how stable it would feel. Walking away from the SIA tradeshow this past January, it was evident that the main theme of the show was that skis were getting lighter and more touring-oriented. 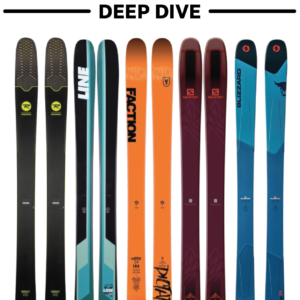 Given my racing background, I still have a thing for all-mountain skis that offer a stiffer, damper ride, so I was admittedly a bit skeptical about all of the lighter options. I really like skis like the Blizzard Samba and the Volkl Aura on pretty much any day when there is less than half a foot of new snow. Then again, I’m also open to lighter options, as I’ve also really enjoyed the Line Pandora and the Rossignol Savory 7. The Ranger W 98 has a good amount of rocker in the tip, slightly less in the tail, with camber underfoot. It also has a flat tail with pretty minimal splay. The Ranger W 98’s weight and design remind me a bit of the Savory 7 and the Salomon Lumen, both pretty lightweight skis that I’ve really enjoyed, especially for carving. My first day on the Ranger W 98 was a gorgeous spring day in Taos, with sunny but firm conditions. I spent most of the afternoon lapping groomers, waiting for the snow to soften a bit, which it never really did. My initial thought after my first run was, unsurprisingly, how light the ski felt underfoot. Getting the ski up to speed felt pretty good; the Ranger W 98 had a good tune and could hold an edge well. 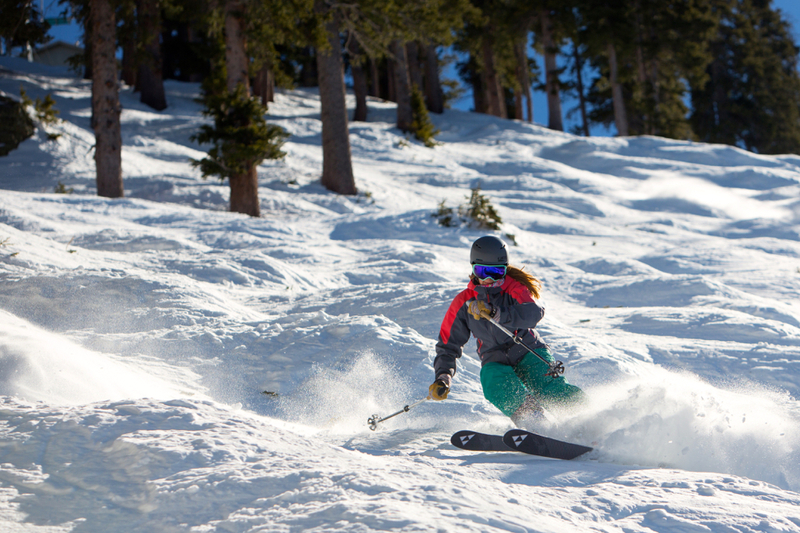 Julia Van Raalte on the Fischer Ranger W 98, Taos Ski Valley. At slower speeds, the Ranger W 98 made quick and energetic carves. Before skiing it, I measured the ski’s dimensions and found that the ski’s width is actually 95mm underfoot, not 98mm, as the ski’s name would suggest. So, the Ranger W 98 is one of the narrower skis I’ve been on recently, and combined with the ski’s camber and flatter tail, I wasn’t too surprised how natural it felt to carve them. At this point, there were still a number of slick patches on the snow, so I didn’t feel quite as comfortable bringing the ski up to speed and really trusting to lay it over into a deep carve on steeper pitches. But cruising along making medium-sized arcs, I could easily transition from turn to turn. However, once I brought the ski a little more up to speed, the Ranger W 98 didn’t feel so great. Given the ski’s relatively short length and smaller turning radius, I figured that I wouldn’t be able to make massive, high speed turns, but I was hoping to feel a little more comfortable going fast. Once I got going on the Ranger W 98, the ski’s low weight became very apparent, and I felt a chatter and shakiness on the firm snow that concerned me. I needed to make a very conscious effort to stand on my outside ski through the turn; if I released some pressure, the ski would move around, threatening to shoot out from under me. I really didn’t like this feeling, so skied at a more moderate speed for the rest of the day. I was a bit surprised the Ranger W 98 felt so unstable going fast on firmer snow since the Lumen Q-96 (170cm) has been one of my absolute favorites in similar conditions. I really didn’t find a speed limit on the Lumen Q-96, even though it also felt like a fairly lighter ski, and could really trust it to hold an edge on icy snow. Off piste and in some mildly bumpy hardpack and firmer moguls, the ski felt less shaky, but more jarring. Slowing down helped me to maintain control of the ski a bit better, but the ski also felt like more work at slower speeds. So if you know that you prefer a stiff, damp ski in firm conditions, the Ranger W 98 isn’t the ski for you. The next time I got out on the Ranger W 98 was a couple of days after a storm in Crested Butte. The resort had gotten over a foot of new snow, and there were some areas that hadn’t been skied off yet, but the snow was windblown and fairly punchy in places. Overall, the snow was inconsistent, with patches of softer snow, but plenty of areas where the snow had already condensed. Working my way down some of Crested Butte’s steeper terrain off of the North Face Lift, I felt a bit frustrated on the Ranger W 98. The light skis kept getting caught up in some of the wind buffed pow; even though I was pointing my skis down the hill, I felt like the Ranger W 98 didn’t have quite enough power to work through the more condensed snow. The tips would get deflected, and occasionally, the tails would get caught up, throwing me off. The next day, in fairly similar conditions, I took out the Moment Sierra, which of course is a heavier ski and has twinned, looser tails, but I felt a lot more competent on this terrain and snow. This definitely led me to believe my issues had been more with the Ranger W 98 than purely difficult conditions. I do still need to get the Ranger W 98 in fresher, softer snow, but as with a number of light skis I’ve been on, once that pow becomes chop and begins to consolidate, it won’t be nearly as enjoyable. Once I got back on the groomers, which were significantly softer and more forgiving than the first day I skied it, the Ranger W 98 was a whole lot more fun. The ski had more of a chance to dig into the snow, and I felt significantly more comfortable going fast. In small, medium, or large radius turns, I could generate a ton of energy from the ski with relatively little input. With so little weight, I could work them from side to side so easily, making fast and super energetic carves. Even though the platform didn’t feel quite as sturdy as the Salomon Lumen Q-96, I loved how effortless it was to carve, and really felt like the more playful characteristics of the ski come out. Once the groomers got a little roughed up, or smaller bumps had formed, I had to slow down a bit; hitting an inconsistency in the snow at speed would toss me around. Even though the skis started to deflect at speed, slowing down really helped manage this issue, and I could enjoy the ski much more with less speed and a more relaxed stance. The rest of my time on the Ranger W 98 was spent in full-on spring conditions, with anything from slush, to corn, to softer bumps. With a little more time on the ski, and with softer snow, I came to like the Ranger W 98 a lot more than I had initially off piste. Whereas I was struggling a bit with the tails grabbing in deeper snow before, through slushier moguls, the Ranger W 98 felt much faster and more nimble. 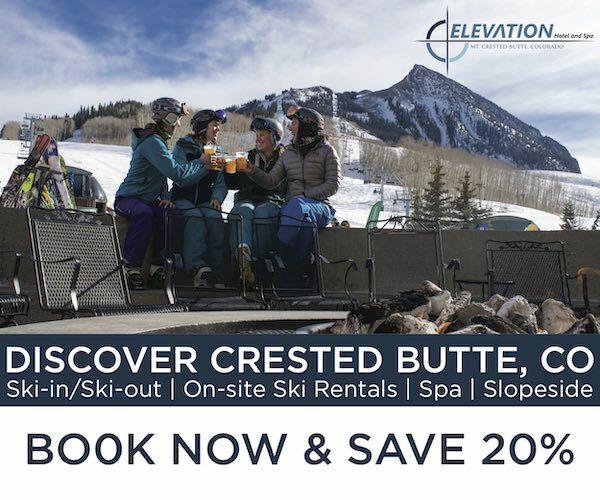 I took several laps down Crested Butte’s Resurrection, which has a steep, fairly consistent pitch and large, well-shaped bumps. It was easy to find a rhythm and lightly bounce from trough to trough. Getting the ski going a little faster actually made the ski feel much quicker and more lively; whenever I slowed, the tails made things feel a bit sluggish, but speed would quickly mitigate that. In areas that had less defined bumps, but weren’t smooth, the Ranger W 98 could be quick and responsive. My attempts to push the ski fast down sections like Headwall or Hawk’s Nest on Crested Butte in springy conditions weren’t super successful, and at high speeds, I really felt the ski’s instability return. However, slowing down, making quicker, shorter radius turns through trees or down faces was a lot of fun. Once I was able to adapt my skiing a bit, my experience on the Ranger W 98 was exponentially better. As with any ski, it is important to think about where and what type of snow you’ll be skiing, and I’ve found that the Ranger W 98 is most fun in softer, consistent conditions. Since the Ranger W 98 is most at home in soft conditions, if you’re generally out when the conditions are good (or you have another ski for those firm or bulletproof days) the W 98 could make a lot of sense. I also think the ski will make more sense for those who will be using it more often for touring, rather than calling on it for use as a dedicated resort ski (and the chopped up, variable conditions that are part and parcel of resort skiing). Inbounds, I had a lot of fun on the Ranger W 98 at moderate speeds, and in mostly softer or consistent conditions—which reminds me a lot of the Savory 7. However, I still found the Savory 7 to be just a touch more playful and responsive. The Ranger W 98 was more lively than the Savory 7 when carving, but the Savory 7 had a bit more life in virtually every other condition. 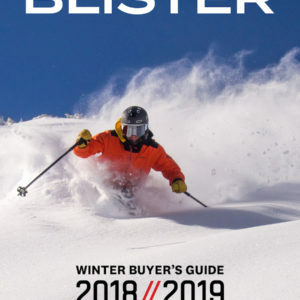 The Ranger W 98 is a pretty accessible ski, and I think it could be a good option for (a) intermediate-to-advanced women looking for a narrower touring ski, or (b) a sub-100mm underfoot one-ski-quiver for those looking for a resort + backcountry ski and don’t plan to ski too aggressively. The Fischer Ranger W 98 is lightweight ski that has done really well in soft and consistent snow, and is a blast to carve on. If you’re not looking to ski too aggressively in firm or variable conditions, the Ranger W 98 could be a good option as single ski for the resort and backcountry touring. Once I got going on the Ranger W 98, the ski’s low weight became very apparent, and I felt a chatter and shakiness on the firm snow that concerned me. I needed to make a very conscious effort to stand on my outside ski through the turn; if I released some pressure, the ski would move around, threatening to shoot out from under me. What exactly are you saying here? You were trying to make high speed turns on your inside foot and the ski would not let you? How much time did you spend on this ski? Shouldn’t it be apparent from the lightweight construction and the general feel at lower speeds that Fischers tend to want precision and finesse, rather than bulldozing power, to work at their best? They don’t want you to click in and be a passenger, and when you assume the driver’s role, it’s not like driving a baja truck where holding the wheel straight is the toughest part, it’s like driving a funny-fuel go-kart at high speeds on a turny track. I’d say the mark of a skilled athlete is the ability to make all kinds of gear work (because athlete is fluent in relevant skills), and the mark of a skilled reviewer is an accurate description of what the gear does. Demeaning the gear is the piker’s activity, the poseur’s ruse-filled self-aggrandizing. How in the world did Bode Miller ever win anything on K2 Fours? How is it I watched a friend who weighs 200lbs ski fluidly through junky snow on Rossi T3s (PowderBirds) without complaint about how the ski folded or lacked torsional stability? 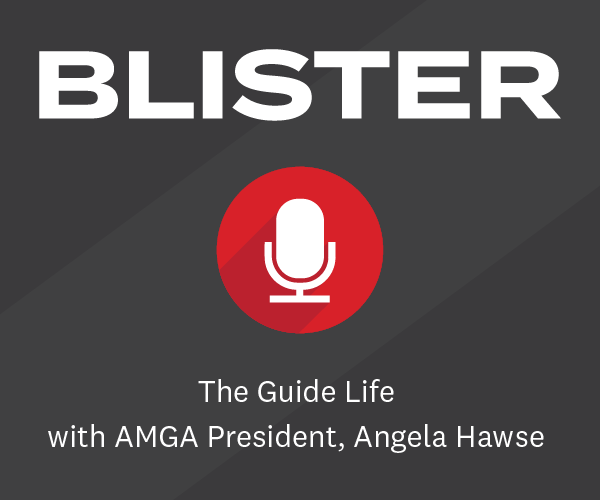 Blister gear reviews look like long-form bragging, rather than thorough, skilled assessment of gear. While that may generate clicks from pseudo-athletic poseurs who want to know how to regurgitate the trendiest words on twitter or in gear forums, it really doesn’t speak highly of the reviewers’ skills at, you know, reviewing gear. JE: Julia didn’t say that she was trying to make high speed turns on her inside foot. Her statement is totally clear. JE: As it says clearly at the very top of the review, Julia spent 6 days on these skis. JE: This is a silly statement. This particular Fischer ski is lightweight. It is an unfounded generalization that “Fischers” tend to want precision and finesse. The 190cm Watea 106 we reviewed is not the same as the outstanding Motive 86 Ti that we reviewed, or the Watea 96, or this ski. There is no such thing as a “Fischer” feel. 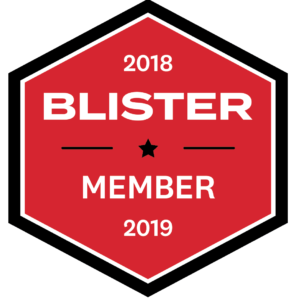 JE: You move from an empty generalization about Fischer skis to an unfounded generalization about *all* Blister reviews. You clearly don’t know Julia, and I doubt you’ve spent any time with any other Blister reviewers. I have, and I can assure you that none of our reviewers are trying to impress people they’ve never met. What we do try to do – and what I insist that all of our reviewers do – is make clear the performance ranges of the gear we test. So yes, we will do our best to push gear hard, and we will then do our best to explain what we experienced. Julia did exactly that in this review. JE: Julia never demeaned Fischer or these skis, she provided information about how the ski handled various terrain and conditions. It’s then up to the reader to decide if the equipment meets the performance range he or she is looking for. JE: No idea what your point is here, other than yes, people have always been making equipment that isn’t optimized for the conditions work. And we do this all the time. But as reviewers, I’ll say it again, our job is to provide a sense where the equipment was most at home / most in its wheelhouse, and where it felt most out of place. That’s what we do, and again, that’s exactly what Julia has done here. JE: From the many thousands of comments we’ve received – and that you can view for yourself all around the site – it’s evident that the vast majority of our readers understand – even if you don’t – that we try to tease out and convey the relative strengths and weaknesses of the gear we review. Simple as that. But I guess you view all those readers as “pseudo athletic poseurs,” while you yourself know better, are better. I’m reading this review because my wife skied and loved some 98W Ranger demos this weekend and I wanted to understand how they would work in different conditions. She skied fairly soft groomed runs and some cruddy firm’ish bumps. I wanted to learn how they would fair on more challenging conditions, so I’m glad that Julia pushed these skis in conditions they may not be ideal for. That doesn’t make them bad skis, just helps those considering them make a more informed purchase decision. You suggest that they should only write about the skis sweet spot, in this case softer conditions at slower speeds. What if you don’t ski that way, isn’t it better if the review covers multiple types of conditions and skiing styles? Personally, I think the best way to get a feel for skis is to actually demo them. However, Ski Reviews ARE a big help to try and make sense of all the various brands and their models. Are ski reviews perfect? Of course not, but they have always been a help to point me in the right direction when considering buying some boards. I appreciate Julia’s efforts with her opinions on the Rangers and also I appreciate Blister’s efforts in general. BTW, I’m a guy but maybe I’ll demo some Ranges next winter.